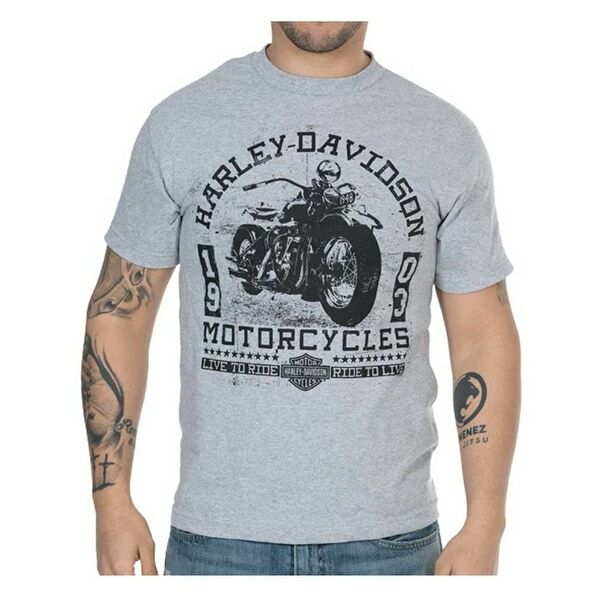 Harley-Davidson® Men's Old Days Short Sleeve Tee - Athletic Heather Gray, 30298466. Decked out in a custom motorcycle graphic with bold Harley-Davidson® script. Back features our Wisconsin Harley-Davidson Dealer logo. Classic crew-neck style, traditional comfort fit. Extremely soft high-quality tee, made from a polyester blend. The perfect t-shirt to add to your Harley® collection. 30298466.